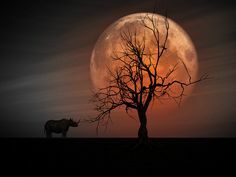 Recently as many people were mesmerized by the Blood Moon, the event indeed lived up to its name in South Africa, when at least half a dozen rhinos were slain. More casualties in the war on poaching. The rhinos were slain in Kwazulu-Natal in a private reserve. 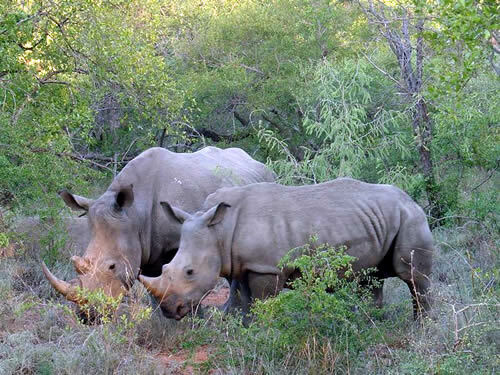 With rhino poaching stats well over 700 now, 85 have been in the Kwazulu-Natal area alone. Six rhino carcasses. An amazing feat. In a park the size of the state of Michigan , in alternating open and hilly terrain; to find and dehorn just one of the elusive rhinos would be difficult, perhaps with the right team two would be lucky. But six?! To have entered undetected, located the rhinos, slain them, dehorned them, AND left unscathed is obviously an organized inside job. 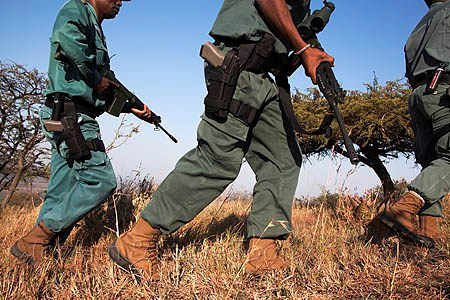 Although some private reserves are doing what they can to obtain funding for anti-poaching efforts and implement strategies; others seem to be floundering. Some reserves take extra measures and exercise the utmost in caution. One such reserve takes no chances; with daily vehicle searches from the kitchen staff through the general manager, conducting lie detector tests on all new employees and randomly on existing employees. If an alarm is set off, the present employees as well as members of the APU are questioned and examined as general protocol. Others seem more relaxed; even surprised at the idea of lie detector tests and vehicle searches. At these known reserves (through reliable sources), they have two commonalities: they have experienced poaching (either an attempt or actuality) AND they agree it is always an “inside job”. So why not employ the most extreme measures? One employee mentioned “you have to trust your employees”. Yet this “trust” may be fatal to the rhinos. Perhaps there is an element of naivete or simply frustration. What is clear is that most reserves do seem eager to talk about it, and are open to change. Funding is a constant battle, but attitude and commitment are also a necessity. There is no monetary cost to employee checks, and overall increased vigilance. But there IS a definite cost to not doing it. Setting the tone and gaining reputation as a reserve committed to doing what it takes may just take them off the “poaching radar”. Afterall, if both employees and clients understand there is no tolerance and no chance at successful poaching, they are less likely to make the attempt or be in collusion with anyone on the outside. And when they are all gone…..which animal will be next that they turn their murdering greed and ignorance on. The whole world needs to do more; and the punishment if caught needs to fit the crime.